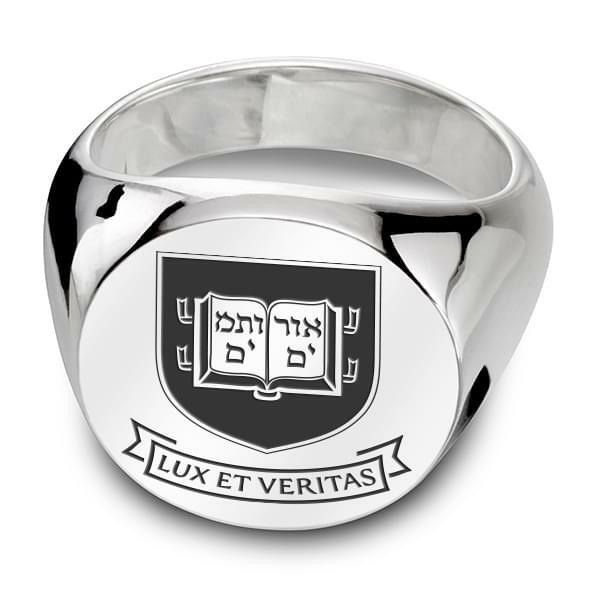 M.LaHart University Rings are crafted from a solid piece of .925 sterling silver. Naturally white and affordable, sterling silver is 92.5% pure and is used in fine jewelry all over the world. No silver less than .925 fine can be called sterling silver. 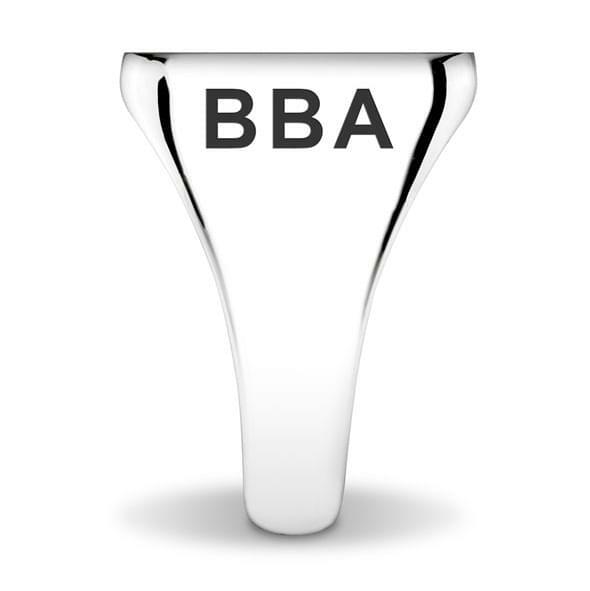 If you don’t already know your ring size, please email info@mlahart.com with your name and complete mailing address so we can send you a free ring sizer. Alternatively, you can visit a local jeweler who will be able to determine your size. Measure your finger in warm temperatures at the end of the day. Be sure to measure your finger before any sports practice or game. Choose what finger you will wear your ring on. The right ring finger (opposite the wedding band finger) is popular as it is protected by the other fingers and is less likely to scratch. When considering a wide band, move up a ring size. Your ring size will be about half a size bigger on the hand you write with. The average women's ring size is 6 and the average men's ring size is 10. Double check your ring size by retrying the sizing method on a different day. 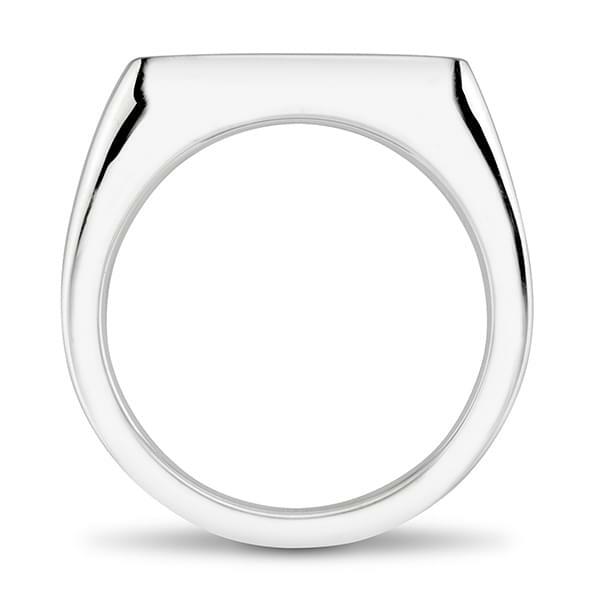 M.LaHart rings feature are available with either a subtle, natural finish or with an enamel logo to enhance the design. Side Engraving- The shoulder of each side of the ring can be customized free of charge with up to 4 characters on each side. Traditionally, the degree is on the left side and the graduation year on the right side. 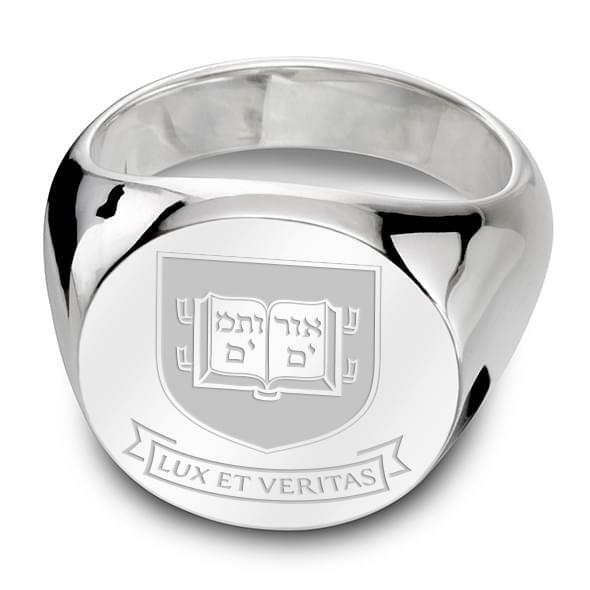 Many customers choose initials on one of the sides in lieu of the degree or the year. 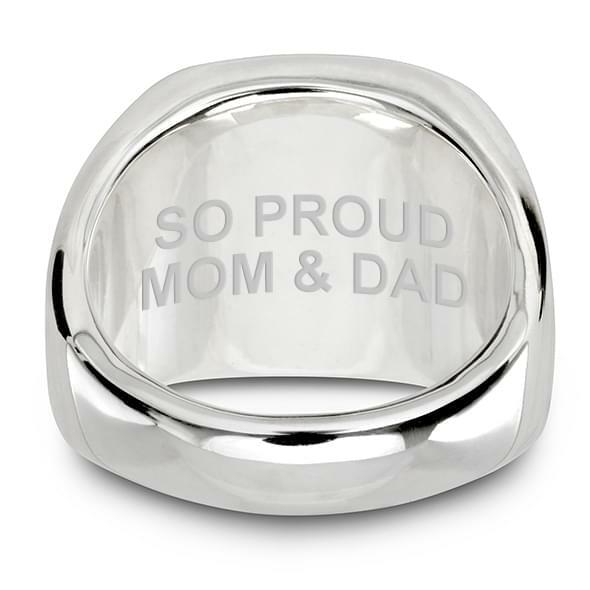 Inside Engraving- A short personal message can be engraved inside the ring; up to 2 lines of 9 characters each. Spaces between words are counted as characters.